Evan Lysacek of the US has deprived Russian hopeful Evgeny Pluschenko of an Olympic gold medal in men’s figure skating, with Japanese Daisuke Takahashi claiming bronze. Pluschenko was ahead after the short program, having 90.85 points, with his American rival 55 hundredths of a point behind. The Russian was the last to appear on the ice in free skating, already knowing he has to beat Lysacek’s 257.67 result in order to get his second Olympic career gold. The crowd at Vancouver’s Pacific Coliseum gave a standing ovation after Pluschenko’s near-perfect performance, but the referees had another opinion, putting the Turin Games champion in second place with 256.36 points after two events. 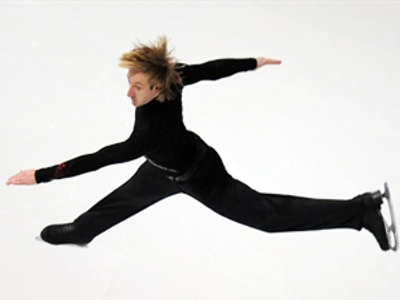 27-year-old Russian had a more difficult program than Lysacek, which included a quadruple jump, and he criticized the new scoring system saying that, unlike other sports, figure skating is moving backwards instead of forward. 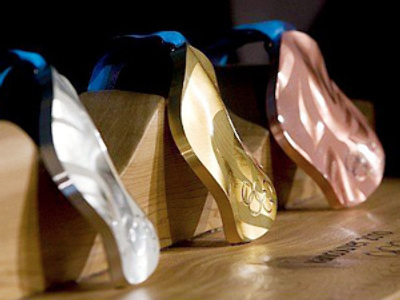 “I am very upset that I could not win the gold. But, in general, I’m satisfied with my performance today. I'm glad that I was able to execute a quadruple jump with good quality. Unfortunately, skating is moving backwards. The man who became the Olympic champion didn’t do a quadruple jump. He just does not know how to do it. All sports are progressing. In swimming, athletes swim faster every year, new records are set in speed skating all the time. But we degrade. One has to understand that a quadruple jump is more difficult at least physically, since it accounts for some time to recover, and this affects the continuation of the program," Evgeny Pluschenko told Rossiya 2 channel. "They are turning men’s figure skating into some kind of ice dancing," he added. And talking to Russia’s First Channel, he hinted that Russia may see him competing at home in the Sochi 2014 Olympics if some improvements will be made in the way Russian figure skaters prepare for the Games. 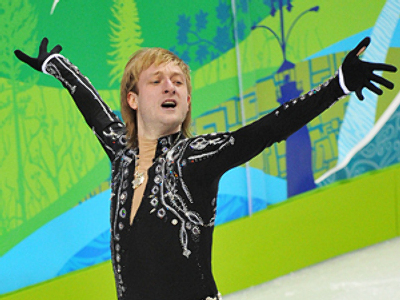 Meanwhile, Olympic champion Lysacek told Reuters new agency that he believes his performance was a complicated one. “I think my program had a lot of difficult parts in it, and I worked really hard to make it look as easy as possible. I'm doing my job if I make it look easy… My focus was getting every point out of that program I could and that's what was important to me,” he said. Pluschenko had retired from the rink after claiming the Olympic gold in 2006, but made an impressive comeback ahead of the Vancouver Games. 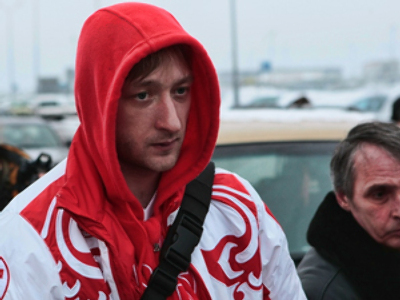 He won the 2010 European championship, but has failed to fulfill his dream in Canada.